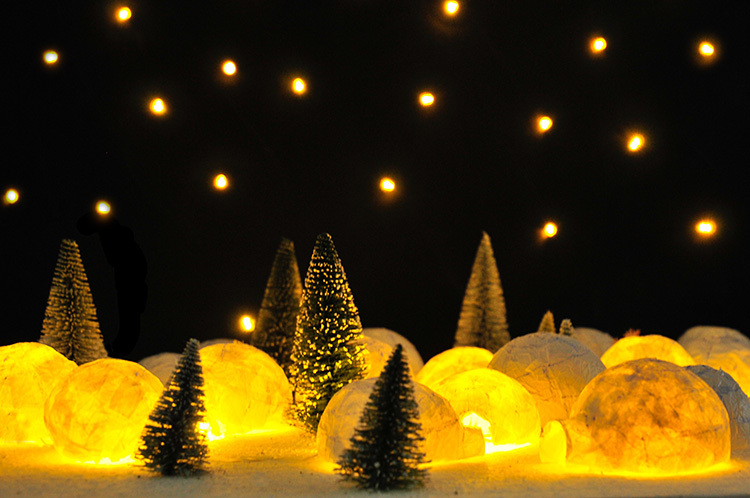 For something different under the tree, make a glowing igloo village! From Miss Red Fox. Socks knitted on 2 needles! I’m intrigued by its origami‐like construction. From Zoom Yummy. Sweet mini teacup ornaments, for the tea lovers in our lives. From Thirsty for Tea. Simply fluffy yarn wreath, from A Beautiful Mess. Also something different under the tree — a donut tree skirt! And no sew! From Curbly. 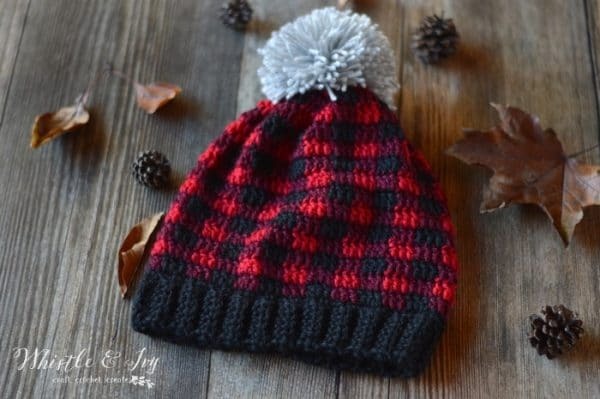 A cozy plaid slouchy hat, pattern from Whistle & Ivy. love the igloo village!, the fluffy yarn wreath, the plaid touque! the socks!